The decision will provide a lift to Down East Maine, creating an extra 200 to 300 indirect jobs, according to estimates. 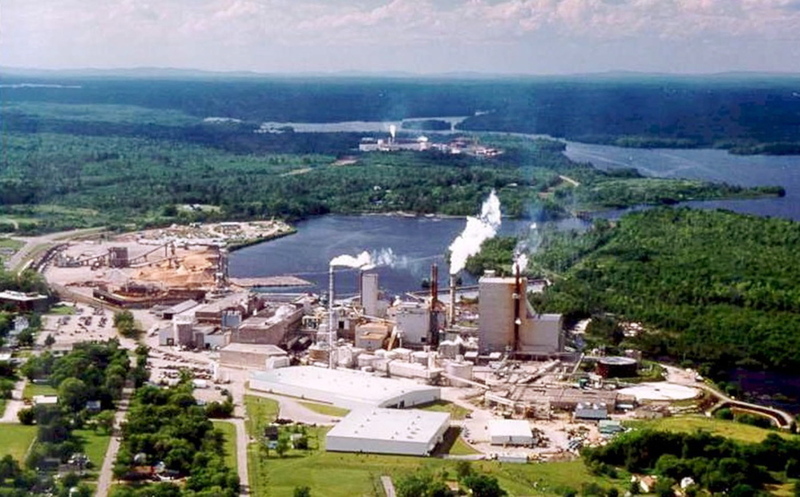 Maine’s struggling paper industry got a boost Wednesday when the parent company of Woodland Pulp in Baileyville said it will invest about $120 million to install two tissue machines. The decision will provide a lift to Down East Maine, with about 80 new jobs at the mill and an estimated 200 to 300 indirect jobs, including drivers to take truckloads of tissue paper for paper napkins, paper towels, bathroom tissue and facial tissue to East Coast markets. “This is a major investment in the paper industry, the kind that has not been seen in Maine for decades,” Gov. Paul LePage said at an announcement of the decision to install the two machines, which will begin operating in late 2015 and early 2016. Although the project will require some construction work this summer to expand the mill to accommodate the machines, “it’s the long-term jobs that are really important,” said Jennifer Peters, the interim executive director of the Sunrise County Economic Council, the economic development agency for Washington County. Washington County has been struggling economically for decades, but more than 200 direct and indirect jobs could make a dent in the county’s stubbornly high unemployment rate, which stood at 8.7 percent in December. The pulp mill in Baileyville was already among the top employers in the county, with 320 jobs, Peters said. She said most of the businesses Down East are small, with only a handful of employees, with the exception of Down East Community Hospital and Machias Savings Bank, so the fortunes of the mill are critical. In an industry where most grades of paper are facing slack demand, tissues are one of the few specialities where sales are actually climbing, said John Williams, president of the Maine Pulp and Paper Association, an industry group. “This is the first tissue machines that have been added in Maine for a few years,” Williams said. Williams said tissue use is rising in the U.S. Even though Asian mills have added capacity in recent years, shipping tissue is expensive because the product is bulky, so much of that production could go to markets there. By contrast, a mill on the East Coast which can transport the tissue by truck in a day or so, instead of weeks by more expensive ship, rail and truck from Asia, has a built-in competitive advantage, Williams said. The name of the new tissue operation, St. Croix Tissue, harks back to the mill’s original name, St. Croix Paper Co., when it was founded in 1904 and began operating in Baileyville two years later. The mill originally produced newsprint, added specialty papers and grew over the years. But as paper sales started to slip in the 1990s, the mill went through a succession of owners. In 2007, when it was owned by Domtar, a Canadian paper company, the last fine-paper machine was shut down, reflecting a sharp decline in the industry during which pulp and paper jobs in Maine fell from about 20,000 in 2002 to roughly 7,000 today. In 2010, the mill was bought by International Grand Investment Corp., a U.S.-based holding company for a Chinese investment firm. Woodland Pulp and St. Croix Tissue will operate as independent subsidiaries of IGIC.